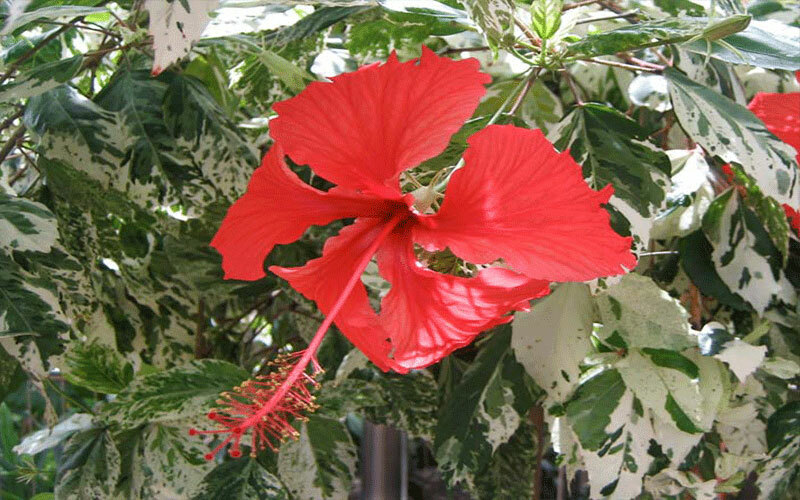 Hibiscus are deciduous shrubs with dark green leaves; the plants can grow to 15 feet tall in frost-free areas. Flowers may be up to 6 inches diameter, with colors ranging from yellow to peach to red. 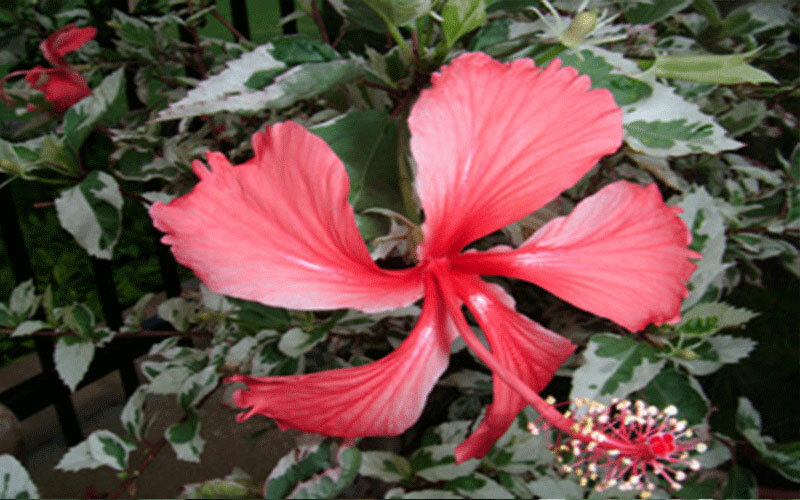 Hibiscus can be planted singly or grown as a hedge plant; they can also be pruned into a single-stemmed small tree. The flowers are attractive to butterflies and hummingbirds. Select a site with full sun and well-drained soil. Hibiscus also adapt well to growing in containers. Plant in spring, summer, or fall, spacing plants 3 to 6 feet apart. Dig a hole only as deep as the root ball and 2 to 3 times as wide. If your soil is in very poor condition, amend the soil you've removed from the hole with a small amount of compost. Otherwise don't amend it at all. 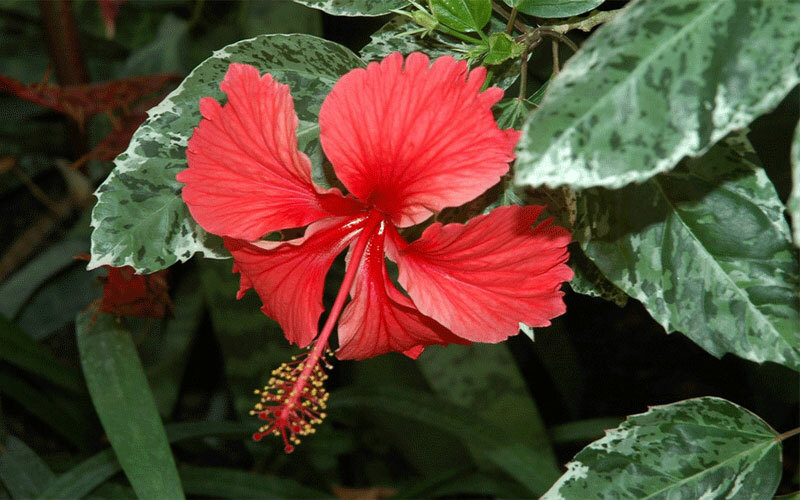 Hibiscus require at least 1 inch of rain (or equivalent watering) each week. They like to be constantly moist, but not wet. Feed twice a month during the growing season and prune as necessary to control plant size and cut back errant branches. Cut branches back to just above a side shoot. 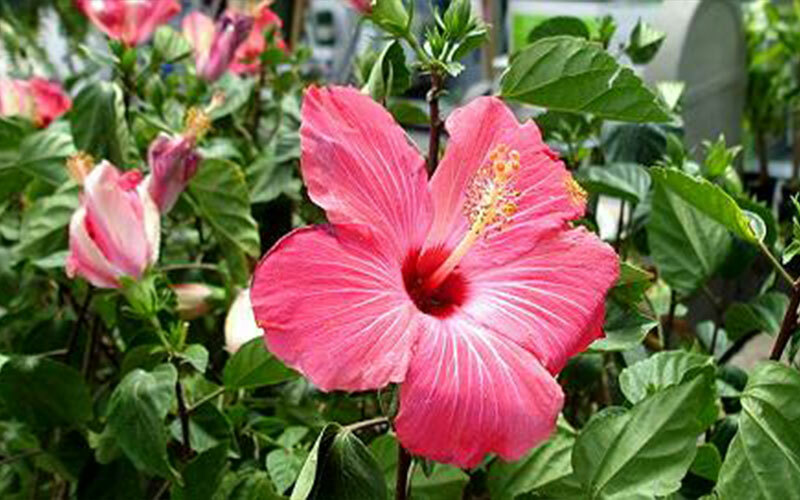 Hibiscus are sensitive to cold and should be protected when temperatures dip into the 30s, container-grown plants should be brought indoors. Check plants periodically for pests such as aphids, white flies, and mealy bugs. Use a horticultural oil or insecticidal soap to control these pests.